Prof. Des Cahill, Chair, Religions for Peace Australia, delivered a keynote address, Creating Religious Harmony and Social Cohesion in the City of Hume at the Hume Global Learning Centre on Tuesday, 29 November 2011. Professor Cahill told that Hume has a bright future and is capable of throwing off its struggletown image. Last Friday, The Age magazine published its suburban liveability index. Sunbury, now celebrating its 175 years, was not included on the index. And the ratings for the listed suburbs for the City of Hume were as follows: Dallas (197 out of 314), Gladstone Park (213), Broadmeadows (219), Meadow Heights (223), Westmeadows (234), Coolaroo (251), Roxburgh Park (234), Gowanbrae (257), Greenvale (283), Tullamarine (289), Attwood (298), and almost last, Craigieburn (306) and Campbellfield (310). Much was wrong with the 14 indicator research instrument, not least that while it counted proximity to tram, train and bus, it did not include proximity to the airport; whilst having a middle class emphasis on restaurants and the arts, and it took no account of population diversity. The population of the City of Hume is currently estimated to be about 176,000 and projected to be over 300,000 in 25 years time in 2036. It ranks as a municipality in Australia with a very high proportion of overseas-born and has become home to thousands of arriving immigrants and refugees since World War II. In the last half of the 20th century, this area across Melbourne’s north western suburbs developed the image of a modern-day struggletown. But as we peer into the future, despite the findings of The Age‘s index, it seems to me that the future of the City of Hume is solid and bright and that it will in coming decades throw off its struggletown image and increase as a centre of urban strength and productive diversity. The ethnic profile of the city has been in transition for some time with the decline in the proportion of the aging European-born groups. The British immigrant groups are in slight decline and even more in decline are the continental European groups, including the Italian and the Greek which are heavily aged with both having almost half over the age of 65. However, these declines are offset by the growth in their second and third-generation groups. For example, about 10 per cent of Hume’s population have Italian ancestry, topped only by the Australian and English ancestry groups. Moreover, it is conceivable that these European groups will be renewed over the coming decade by further European waves, especially from Greece and Italy, resulting from the economic turmoil currently impacting upon Europe. However, Hume’s first major differentiating characteristic is the Turkish presence, the largest of any Australian municipality and an ethnic concentration not unlike the Jewish presence in the St. Kilda-Caulfield area, the Maltese concentration in North Sunshine and St. Albans, the Vietnamese presences in Springvale and in Melbourne’s western suburbs and the Macedonian presence in the City of Whittlesea. Since the signing of the migration agreement in 1967 between the Australian and Turkish governments, Turkish Australian immigrants have taken some time to settle after very negative press reporting in the early 1970s; with their Australian-born descendents they have begun making a real contribution to Australian society. The second differentiating presence in Hume is its rapidly growing Iraqi refugee presence, now probably larger than the Turkish presence. Whilst Iraqis are much more heavily concentrated in Sydney, Hume is their Victorian centre. It is heavily Christian, with large Catholic Chaldean and Assyrian Catholic presences together with the Assyrian Orthodox presence and the various Syriac presences whether Catholic, Orthodox or Jacobite. The Iraqis have been arriving in Hume in very significant numbers since the early 1990s after the Gulf War. Coming from an Assyrian or neo-Aramaic language background, they also speak Arabic. There is also the Muslim component, including those with Kurdish and Turkoman backgrounds. Regarding the other ethnic groups, the Filipinos, especially those married to Australian men since there are 50 per cent more females than Filipino males, continue to arrive in Hume in small but significant numbers as do the Lebanese and the Sri Lankans who are overwhelmingly Burgher and Singhalese. However, it is the Indians whose presence has already grown since the mid-1980s and will continue to grow strongly. In the period between 2001 and 2006, the two religions in Hume which showed the largest growth were the Hindu and Sikh religions. 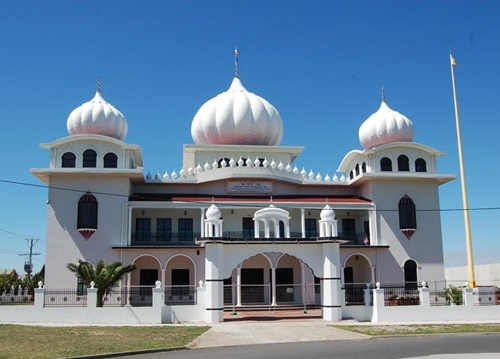 In fact, in that five year period the Sikh population grew by one and a half times (+145%), manifested by the new Sikh gurdwara on the Hume Highway just south of Craigieburn. The various African and Pacific Islander presences will continue to trend upwards. Hence, the City of Hume population is characterized by diversity—though its breadth of diversity is not as great as other high migrant density municipalities—because the Confucian heritage countries, especially China, are surprisingly absent. There are some Vietnam-born (1,179 in fact) but the numbers of Vietnamese speakers actually declined between 2001 and 2006. However, this diversity is sufficiently broad to challenge the efficient delivery of culturally and linguistically diverse services. As well, most ethnic community organizations serving the area are not sufficiently large nor have sufficient expertise nor have the credibility with government to individually offer government-funded services, which is why they need to partner with organisations such as a Migrant Resource Centre or with the Australian Multicultural Community Services in caring for their people, most especially if they are aging. Religion is being rescripted in Australia. And part of that rescripting is occurring in the City of Hume with its changing and unusual religious profile. It ranks as one of the most religiously inclined municipalities in Australia. Only 12.6 per cent of its population said in 2006 they had no religion as compared to 18.6 per cent for the whole of Australia, and those not making any response to the religious affiliation question were 9.3 per cent as compared to 11.2 per cent for Australia. This municipal religious profile is dominated by its Catholic (36.9%) and Islamic (13.3%) presences, which together constitute just over half of the Hume population. The other smaller but significant presences are those of the Anglican, Eastern Orthodox and Uniting Church. 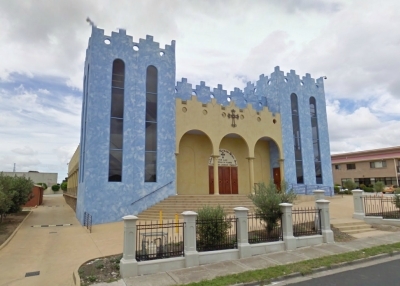 Thi is somewhat surprising, because it went against the Australia-wide trend, was the growth in the Uniting Church group in the 2001- 2006 period, even though only very slightly – this may reflect the opening of Aitken College in 1999. Not surprisingly, the Anglican Church declined as it has done across Australia though this may be similarly arrested by the recent opening of the Hume Anglican Grammar College. The opening of these two private colleges and other government secondary colleges highlight how Hume families are being better served by a richer smorgasbord of schools. Regarding Catholicism, the Hume Catholic profile is unusual and quite different from the Australian Catholic norm though historically its Hume presence has been formed around the Irish Australian core and the formation of the network of Latin-rite parishes and primary schools and its two secondary (Penola and more recently Kolbe) colleges which with the government schools have played a very commendable role in the education of Hume’s young people for over four decades. The profile presages the future of Australian Catholicism which will be formed around Catholic immigrants and their descendents, especially, here in Hume, the Italians, Maltese Filipinos, Croatians and Polish. However, the Catholic educational infrastructure has not been supplemented by its health and welfare organisations. These are all members of the Latin-rite whereas the Catholic presence is augmented by the large Iraqi Chaldean presence, centred around the Church of Our Lady, Guardian of Plants, in Campbellfield though their children go to the nearby Latin-rite primary schools in Broadmeadows, Dallas, Fawkner and Roxburgh Park. This and the other Iraqi Christian communities are consumed, as customarily are all refugee communities in the early stages of their integration, by transnational homeland politics and worrying about their loved ones at home. These Iraqi communities carry with them a very heavy historical burden of discrimination and persecution by Muslim political and religious groups in Iraqi. Here we are at the nub of the issue of religious harmony in the City of Hume. Regarding the Islamic presence, whilst it is determined in large part by the long established Turkish presence, the presence is multi-dimensional with the Muslims of Hume coming from other countries such as Lebanon, India, Iraq, Egypt and Syria. The presence is focussed around the mosques in Broadmeadows, Campbellfield and Meadow Heights and the various pioneering Muslim schools. The challenge for Muslim religious and community leaders is to provide quality leadership in uniting the Muslim community into a cohesive entity and in dealing with the many challenges facing them, based on an informed reading of Australian society, an awareness of mainstream Australia’s sensitivities such as on Shari’a law and gender equality and respect for the central Christian beliefs and also knowledge of the Hume locality. The Buddhist presence in Hume is significant, especially in terms of Buddhist monasteries such as the Tibetan Buddhist monastery on Mickleham Road which serve a clientele wider than the City of Hume. But Buddhist numbers in the City of Hume will continue to grow slowly. Interreligious harmony remains a continuing challenge for the City of Hume though, to this point in time, it has been achieved. But the dangers are the burdens of history, the impact of overseas international events and, lastly, the dangers lurking in cyberspace. Australia in its multiculturalism has been a great healing place for historical wounds and ancient and less ancient hatreds and conflicts in which many of Hume’s residents have lost loved ones. These scars take time to heal, and communities must deal with them in their own time. This may mean ignoring the other, who perhaps has been a traditional enemy, but accepting the rightful presence of the immigrant and refugee other in multicultural Australia. Managing this religious diversity has to be a continuing commitment of Hume’s civic leaders. The interfaith journey so far in Hume has been challenging—not without its small hiccoughs—but it is important for civic leaders to find forums such as today to bring religious leaders and, when appropriate, their communities together in a spirit of dialogue and cooperation so as the damaging stereotypes and unspoken hostility are broken down, and the other is not denigrated or demonized. There are some religious groups for whom interfaith activity is challenging but they need to be gently reminded to participate to the economic and communal well-being of Hume in the name of social cohesion. Schools are very important in this process and bringing together the students and parents of Hume’s various secondary colleges, public and private, is critical through inter-school activities such as exchange visits, choral and musical contests, debating competitions, sports events, formation of joint choirs, art competitions etc., perhaps in some cases sponsored by the Council. Critical in this process is the convening by Council of the meeting of religious leaders to discuss mutual issues of cooperation and coordination and the support of a Hume Interfaith Council. Meeting with school principals, both government and private, around the same table is equally important to bring about cooperation and cohesion. The stakes here are high in a world that changed on 9/11. Here the massacres of Norway, a country richer than Australia, give us timely warning of another aspect to interreligious harmony. The case of Anton Breivik gives us much to reflect upon. He was raised in an upper middle class home, the son of a nurse and a Norwegian diplomat who deserted the family when Anton was one-year-old. He viciously hates all Muslims and the Islamic religion. But he equally hates the left, the young left, whom he slaughtered in great numbers on the island of Utoya. And in his 1500-page manifesto, he hopes, as a cultural warrior, to rescue Europe from feminism, multiculturalism and Muslims. More significantly, his killings have raised the issue of websites pouring out vicious e-blasts of hatred. We need to recognise that his ideas were the vicious spawn of a rhetoric that flows freely in cyberspace that becomes a net of hatred. All these trends are impinging upon and identifiable in Australian society. The Breivik tragedy gives us cause to reflect on the power not just of ideas, but of dangerous ideas. (1) sense of belonging incorporating shared values, trust and identification with Australia. 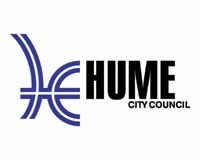 The first task of the City of Hume and its leaders at all levels is to create continuously a sense of belonging. This clearly is a sense of belonging to Australia though not necessarily to the City of Hume. All politics is said to be local and belonging to Hume may be supplemented, or even surpassed by belonging to one’s local suburb whether it is Sunbury or Greenvale or Craigieburn. The second task is to ensure, firstly, that all the citizens of Hume are treated justly, with equity and equitably. It also means the persistent lobbying of Commonwealth and State governments though it is unfortunate that the local electorates are not swinging seats. Much has been achieved in this area but part of this is to see that the youth and the adult young receive their fair share of the local resources and are provided with multiple opportunities to develop themselves and their talents. The third task is to ensure participation by all groups in the life of the City of Hume as part of creating this sense of belonging. Some ethnic and religious communities are not accustomed to do voluntary work, particularly outside their own enclosed communities. This has been changing over recent years, but it needs to be emphasised and re-emphasised. Another aspect is that civic leaders as well as Members of Parliament need to attend the many varied ethnic and religious community functions as part of creating the sense of welcoming and participation that lie at the heart of social cohesion. The City of Hume in all its components has been welcoming newcomers since the late 1940s, and its record has not been sufficiently recognised. Welcoming involves resisting racism, bigotry and discrimination. A particular problem here is the workplace. The workplace is an important element of intercultural relations. Secondly, there is the increasingly multicultural nature of our workteams where management must be conscious of the need to appropriately supervise staff and adopt multicultural management techniques. (5) sense of worth incorporating people’s general happiness, life satisfaction and future expectations. People of the City of Hume must all have a sense of their personal worth as individuals, generally happy, generally satisfied with their lives and with achievable and realistic expectations. The various research studies show that people in Australia are generally happy and satisfied with their lives. In Professor Markus’ study, the overwhelming majority of respondents (95%) expressed a strong sense of belonging to Australia as did a similar number (92%) in having pride in the Australian way of life, a figure consistent with surveys over the past two decades. In other results, 89 per cent of the respondents indicated they were happy with their lives and 82 per cent agreed with the statement that “Australia is a land of economic opportunity where in the long run hard work brings a better life“. However, some ten per cent of overseas-born respondents reported a discrimination experience at least once a month. His other key finding is that the level of disaffection and the threat to social cohesion is at historically low levels in contemporary Australia. But other results warned against complacency. In a series of targeted surveys in high migrant density urban areas, a minority of mainstream Australians, like Anton Breivik, harboured very negative attitudes towards migration policy and immigrant groups. The 9/11 attacks remind us that we live in a world of greater risk, unpredictability and limited controllability (Beck 1999). In concluding, I am convinced that the City of Hume in all its suburban and rustic components has a bright, if not very bright, future. Its family life is strong with a lower divorce and family breakdown rates though family dysfunctioning remains a significant issue; it is being renewed by successive waves of immigrants and refugees; new industrial projects in Melbourne’s outer northern suburbs together with the likely growth of Melbourne airport ensure a solid economic underpinning though the Council and the TAFE colleges need to do more in the small business area; the transport infrastructure needs further improvement exemplified by the newly built Coolaroo station which was two decades too late; housing is more affordable in the City of Hume than most other Melbourne suburban areas; its schooling infrastructure is more or less in place though there needs to be a university campus somewhere in the Craigieburn corridor over the next decade. In Australia over the past 65 years, we have together constructed a society admired around the world and to which too many people aspire to emigrate. It has always been a process and it will continue to be a process. But it must always be a process through which we ringfence our own society from being impacted by overseas events and dangerous imported ideologies. The managing and regulating of ethnic and religious diversity has taken on a new urgency but we have an enviable record. A core measure of social cohesion usually neglected is intermarriage, intercultural marriages and interfaith marriages, where families are forced in their diversity to confront the other. The Chinese have a saying, chickens do not marry ducks, but chickens are marrying ducks. In this area, we have done well. Always there must be respect for the other; ultimately social cohesion is about relationships and belonging, worth and acceptance, equity and justice, and above all, trust.